Timber from local woodlands is delivered to our yard, where it is stacked. We use mainly mixed hardwoods, such as beech, ash, sycamore, oak and birch, which are all renowned for their excellent burning qualities. As soon as the trees are felled, the drying process begins. The wood is then loaded onto our state-of-the-art, computerised, wood-processing machine, which cuts and splits the timber into logs. All the logs go over a filter system so bark shavings and sawdust don’t go into the bags, leaving a clean product. 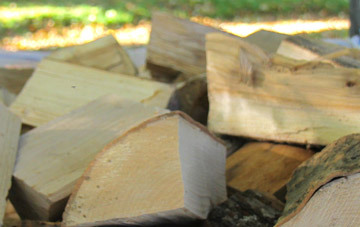 Our standard sized log is approximately 9” (25cm) long, but we also offer larger alpine-style logs cut up to 50cm to cater for the growing demand for log boilers. These longer logs will be cut to order and can be ordered via the office on 01768 895204. 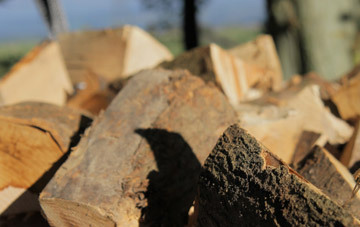 The firewood, which is in special ventilated bulk bags on pallets, is then either kiln-dried in our wood-fired kilns to below 18% or air-dried (seasoned) in our barns. Once the drying process is complete, the logs are ready for delivery.